Intelligence whistleblower Edward Snowden is holding out in Hong Kong as a means of escaping the federal and legal wrath of the U.S after revealing information about the NSA and related intelligence programs and their targeting of U.S communications companies. It expected that he might jump to another country that does extradite to the U.S such as Iceland, Ecuador, and Venezuela to name a few. While Hong Kong does have an extradition treaty with the U.S there are some loopholes that have made it a good place for Edward Snowden to dig in. He says he chose Hong Kong because it “…has a strong tradition of free speech” and because of the exception of not extraditing on political crimes. On the other side of that same extradition treaty, it is noted that the Fugitives Offenders Ordinance of Hong Kong states that HK’s leader can receive instruction from the country to follow through or put off on extradition if it’s in China’s best interest. So it’s not entirely a safe haven for the 29-year old IT contractor. In the case of Iceland, the ministry of the interior mentioned that they haven’t gotten an application for asylum from Snowden. “We have heard about this, but we cannot speculate. At the moment we have received no inquiry or application from Mr Snowden, and we cannot therefore speculate on whether any such application would be granted.” Johannes Tomasson ministry spokesman told The Guardian. There is good deal of public and media support for Edward Snowden should he arrive in Iceland Smári McCarthy—Internal Modern Media Institute in Iceland’s executive director—told The Guardian. “Of course we have been following the story with morbid fascination and as soon as he mentioned Iceland, that was our cue to take action. We are working on the basis that if he were to arrive in Iceland we would have a plan in place and ready to go.” The IMMI has been looking to talk with the minister of the interior and is in talking with lawyer about securing asylum for Snowden should he arrive in Iceland. While Snowden could be paying attention to the actual mechanics of getting such a step in action, it must be taken into account that Iceland also has an extradition treaty with the United States, so there’s another layer of difficulty there. McCarthy said that Iceland isn’t 100% on this as it would have to take on a major trading partner over the issue. He also pointed out that he felt the U.S could lose face from cutting Iceland off for going through with its human rights obligations. 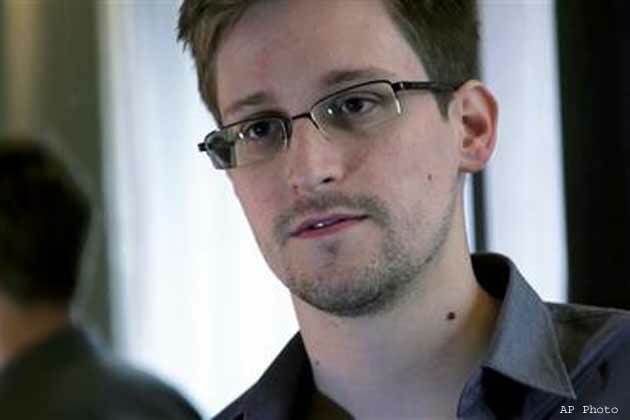 It is believed that the U.S would allow Snowden to hold on to his citizenship since it would be needed to extradite him back if an opportunity arises. Besides that, the Universal Declaration of Human Rights of 1948 mentions in article 15 that “(1) Everyone has the right to a nationality; (2) No one shall be arbitrarily deprived of his nationality nor denied the right to change his nationality.” If Snowden wished to drop his citizenship he would need to go to a U.S embassy, consulate, or stand before an affiliated officer or figure and sign an oath of renunciation. Since Snowden only holds citizenship in the U.S, doing so would make his stateless and present many problems—the most important of those being no protection from a government. Being stateless would also hinder his freedom to travel around since he would have no recognized passport from any country. Edward Snowden came into the public spotlight after handing over classified information about the NSA (National Security Agency) and the PRISM surveillance program. He entered the military through the U.S Army in 2004 but was discharged that fall after an accident. From there he worked as a security guard with NSA before moving into intelligence in IT security. He was last working for Booz Allen Hamilton as a system admin while based out of NSA in Hawaii.